After its first outing in Lahore, Pakistan has organized two more editions of the Global Laser Run City Tour, ending the year on a high and providing opportunities for hundreds of UIPM Sports enthusiasts. Peshawar hosted a GLRCT on 25 November, with young athletes from a number of schools taking part. The region’s Director of Sports, Khyber Pakhtnkhwa, was the VIP guest and he presented athletes with medals and prize money before thanking the Local Organizing Committee (LOC) and urging the community to organize more UIPM Sports events to provide opportunities for sport and activity in the region. 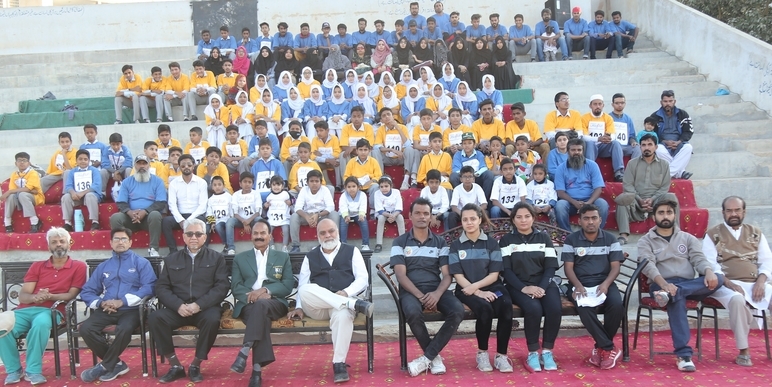 On 17 December, Karachi followed suit with more than 300 athletes drawn from schools, colleges and football and cricket clubs taking part in the GLRCT at Tipu Sultan sports ground in North Nazimabad. The Karachi Laser Run City Tour was organized by Sindh Modern Pentathlon under the aegis of the Pakistan Modern Pentathlon Federation.